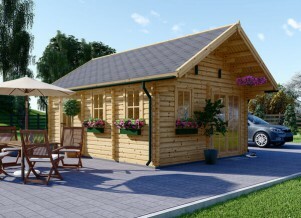 Many urban families nowadays tend to choose to spend their holiday in rural environment in a log cabin. Such holiday offers a perfect solution for those who want to escape from concrete landscape and high pressure surroundings. People do not want to visit amusement parks or sunshine beaches or luxurious hotels any more – they choose to go wild and spend their holiday somewhere in the country side which is very different from everyday routine. People tend to be overloaded with office work and lack time to communicate with their family members. A holiday somewhere in the rural environment help the family members to reconnect with each other and get away from the life hustle and office pressure environment. Whether you decide to spend some good days with your family members or with your friends – a holiday log cabin would be a perfect solution. No matter whether you have a cabin by yourself, or your friends have it, or you rent it all together- it will give you a memorable and pleasurable experience. 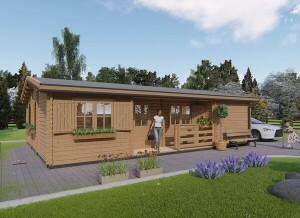 A log cabin comes as an affordable alternative to luxurious hotels and expensive cottages on the seaside. As a rule, people view log cabins as a good summer vacation option but they do not consider it within winter context. However, nowadays fully-insulated log cabins offer a perfect place to spend your Christmas vacation as well. So, whether you plan to have a memorable summer holiday or bright Christmas time, a log cabin will work just right in both scenarios. 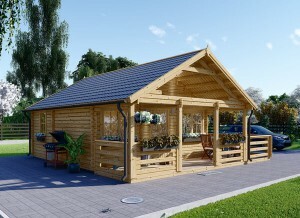 There is a common misleading concept of a log cabin – a simple log home with one room and lack of facilities. However, nowadays log cabins have acquired a more modern design and are usually equipped with all the modern facilities which would turn your holiday into a comfortable and pleasurable time spending. At the same time, they still have that rustic look which makes it much more romantic rather than a hotel building. On the contrary to the buzzing city sites where the hotels are usually located, the log cabins are usually located somewhere in the countryside which makes you forget about stress and fully relax with your family and friends. Another great advantage of staying in a log cabin rather than a hotel is a financial one. No doubt staying in a hotel with all your family or friends might be very expensive. On the other hand, a log cabin comes as a good alternative. If the cabin comes with a kitchen and a fireplace it will add a cozy touch to the room and make you feel at home surrounded by your family members. If we talk about holiday in the UK, you can choose a fully-insulated cabin in Scottish Highlands surrounded by nice views of snow-clad mountains where you can run away from the busy city life and enjoy the beauty of nature going into the wild. If you're planning to visit the Gold Coast in Australia, you can easily book a log cabin on the seaside with fantastic views. The increased popularity of log cabins has made the owners of the log cabins do their best when trying to make them look nice and make them equipped fully with all the modern facilities to attract more guests. And it does work. As most of these cabins are fully-insulated, they provide a comfortable leisure time no matter what the time of the year is. 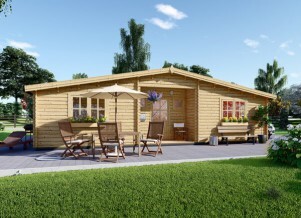 If you own a log cabin by your self and use it as a summer holiday lodge, probably it would be time to rethink the purpose of it and start using it during the weekends and in winter time as well. Whether you have friends coming for a weekend or you want to enjoy your weekend with your family members only – the log cabin will fit your purpose best. So, a log cabin offers you a great possibility to get away from the hustle of a busy city life an spend your time with your beloved ones. You can arrange birthday parties for your kids, have Christmas celebrations and other adventurous activities there surrounded by nature and good spirit. It will definitely allow you to relax and rejuvenate.